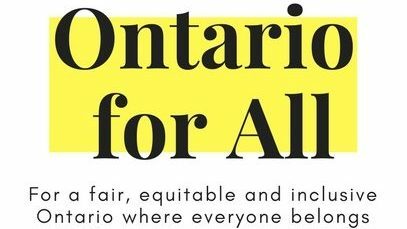 Ontario for All is an issues-based, non-partisan, positive campaign. Our goal is to raise this issues that matter with all MPPs and officials from all parties. We want to make sure building a fair, equitable and inclusive Ontario is on everyone’s agenda. Individual organizations each bring their unique voice to the issues. Here are some ideas to get you going. Use them as they are, or make them your own. Twitter can be a valuable tool for providing your community with quick updates on issues that may affect them. Some people may also lack other tools for tracking policy designs that impact their lives, so your efforts to provide information could be very helpful. Others just like to be kept in the loop. Either way, letting your community know what’s going on is a valuable service. For a simple infographic with tips on effective Tweeting, click here. For sources of updates follow @ON4ALL , and we will follow you back so we can amplify your messages! © Copyright – Ontario For All 2018. All Rights Reserved.